With “Florida Folk Art: Landscapes and Dreamscapes,” Congdon shows how Florida folk artists are perhaps more diverse and inventive than folk artists from other states. The Sunshine State attracts and encourages all kinds of people to use their imagination. They innovate, repurpose, and construct objects from ideas rooted in the landscape and influenced by resourcefulness and a unique way of seeing. This talk will explore the experiences of a variety of individuals’ dreams and attachments to Florida’s land and history. Kristin Congdon is Professor Emerita of Philosophy and Humanities at the University of Central Florida. She has published extensively on folklore, multicultural education, and art. Her authored or co-authored books include The Making of an Artist: Desire, Courage, and Commitment; Happy Clouds, Happy Trees: The Bob Ross Phenomenon; American Folk Art: A Regional Reference; Just Above the Water: Florida Folk Art; and Uncle Monday and Other Florida Tales. 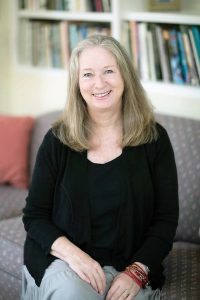 She has been president of the Florida Folklore Society, chair of the Florida Folklife Council, and senior editor of The Journal of Cultural Research in Art Education and Studies in Art Education.